Over the past six months, three of our members have stepped down from Rebellious Writing. We greatly appreciate the time that Abby, Anna C.S., and Audrey have given us and we can't thank them enough for giving us that strong start. Their leaving has left some holes, especially in our social media scene. 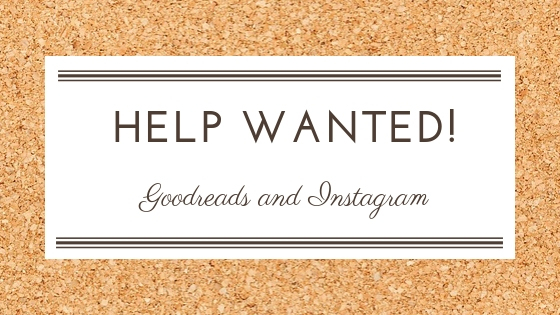 We now have not one but two open positions: Goodreads and Instagram coordinators. We do sincerely apologize for all the previous miscommunications (to put it mildly) that have happened with these two positions, especially with the Goodreads coordinator. Now that some of the craziness has died down, we can look at recruitment for these two positions much more seriously. 1. Must be a supporter of clean YA reads. 3. A Google Account is also recommended, but not required. 1. Moderate all discussions. Remove spam comments and comments with swearing or other inappropriate content. If desired, new discussions may also be started by the coordinator. 2. Collaborate with the Book Scout Coordinator to find appropriate books for a future reading list and to publish Book Scout reviews onto Goodreads. 3. Participate in the Rebellious Writing team communications via Google Hangouts and email. 4. If needed, please share Goodreads analytics data with team members. Further responsibilities may be added in the future. In terms of time commitment, we would prefer that there is new activity on the page at least once a month. 2. Must be willing to use uncopyrighted or CC licensed images or own work in posts. Under no circumstances will illegal use of copyrighted images be allowed. 3. Have a basic knowledge of aesthetics, design and color theory. 4. Previous Instagram experience is highly recommended. 5. A Google Account is also recommended, but not required. 1. Post images, book or author quotes that support clean reading, clean writing, or other related topics. 2. Moderate all comments. Remove spam and comments with swearing or other inappropriate content. 3. Grow the platform by subscribing to Instagram pages and commenting on posts that support clean books, particularly clean YA books. These can be Christian or secular. 4. Participate in the Rebellious Writing team communications via Google Hangouts and email. 5. If needed, please share Instagram analytics data with team members. Further responsibilities may be added in the future. In terms of time commitment, we would prefer that there is new post at least once a month. Because these persons will be joining our team, they also have the option of writing posts for our blog on a regular basis. While it's not required, it is certainly encouraged! 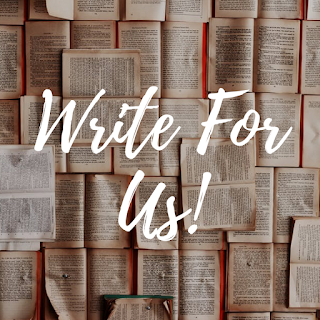 We will announce when the position is filled with a post here on the Rebellious Writing blog, introducing the new coordinator(s). If interested in either one of these positions or if you would like to know more, please email us (therebelliouswriting@gmail.com) and and put the relevant position name in the subject line. We look forward to meeting our new coordinators! The instagram one sounds fun... I have to think about it, though. I want to help y'all out so much, but right now life is somewhat in the way. Definitly something I'll be pondering today. I worry, however, that because some of my opinions on books have changed, that I'm not a good candidate. Aw, so sad to hear that people are having to step down. But it's understandable. Life can be busy. I might be interesting in being the Goodreads Coordinator, if no one else steps up.